Our Family Resource Center, Rubinstein Library and Special Needs Resource Directory can help you find answers to your questions about your child’s health condition, hospital services and community resources. The Family Resource Center is your place to turn to find information about children’s health conditions and community resources. We have a variety of resources including print media and online information. We are able to bring information to your room if you can't leave the bedside, or can mail information to your home. Read more about the Family Resource Center. 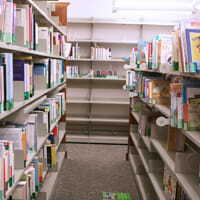 The Rubinstein Library houses extensive health-related information on developmental and behavioral issues and related children’s health conditions. You can also find a wide variety of adapted toys and software. The Rubinstein Library is part of the Division of Developmental and Behavioral Pediatrics. Read more about the Rubinstein Library. Search the Special Needs Resource Directory.